When it comes to cranes for sale, Sany cranes are a popular option and, if you are looking for a monster fit for just about any job, the Sany STC500 might be ideal. The STC500’s durable design and impressive lifting capacity make it stand out from the crowd. This 50 ton truck crane is constructed from high strength steel. A highlight of the STC500 is its CAN-bus full-digital network control. This crane’s load moment limiter and travelling performance are also note-worthy and, not only does the crane offer excellent micro-mobility, it can lift impressive loads too. 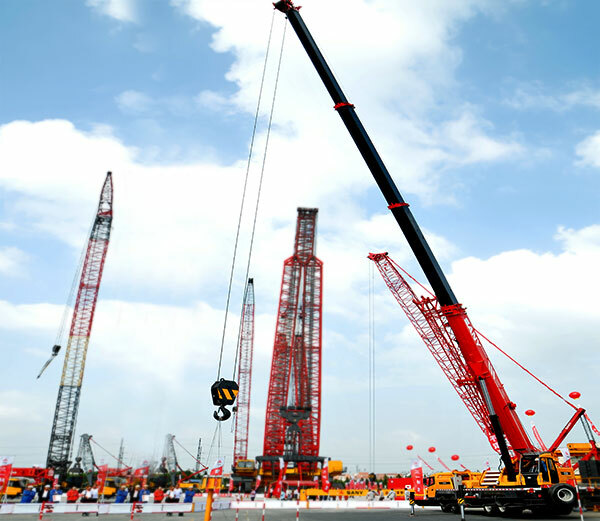 The durability of these Sany cranes for sale result in decreased downtime and lower running costs. Sany construction equipment is renowned for its outstanding quality and performance. In acknowledgement of their success Sany received the Global Performance Excellence Award. With a wide selection of mobile cranes for sale, their range showcases equipment which has proven its capabilities both locally and internationally. The STC500’s 43 metre boom is constructed from high strength steel. A highlight of this crane is its distinctive hydraulic system. Not only does it offer an impressive lifting capacity of 50 tons, it also provides excellent micro-mobility. The distinctive steering buffer design offers consistent braking. Despite the condition of the road, the Sany STC500 delivers an outstanding travelling performance. Fuel efficiency is achieved through multimode power output. 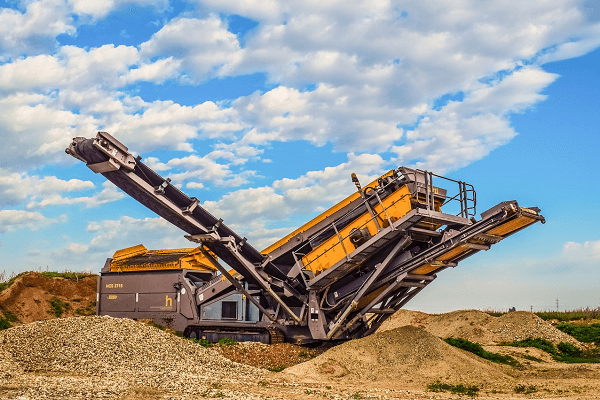 Your employees and equipment are protected by the early warning system which alerts the operator if the machine is in danger of tipping over. 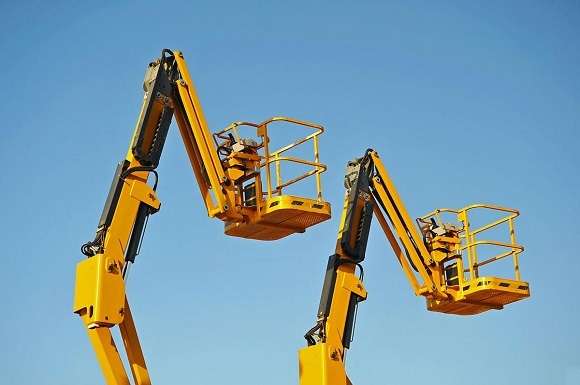 These cranes have a length of 13750 mm, width of 2750 mm and height of 3800 mm. CAN-bus full-digital network control in these Sany cranes offers improved convenience and reliability. Prompt evaluation of important data is made possible by this feature. The load moment limiter contributes to safe, trustworthy and precise operation. Additional protection is offered by the roll-out limiters as well as the height limiters. The hydraulic system is built with a balance and overflow valve which help to maintain stability. In addition to the valves, the two-way hydraulic lock contributes to the performance of this truck crane. The cab is constructed from an anti-corrosion steel plate which contributes to its durability. The safety glass offers additional protection to the operator. 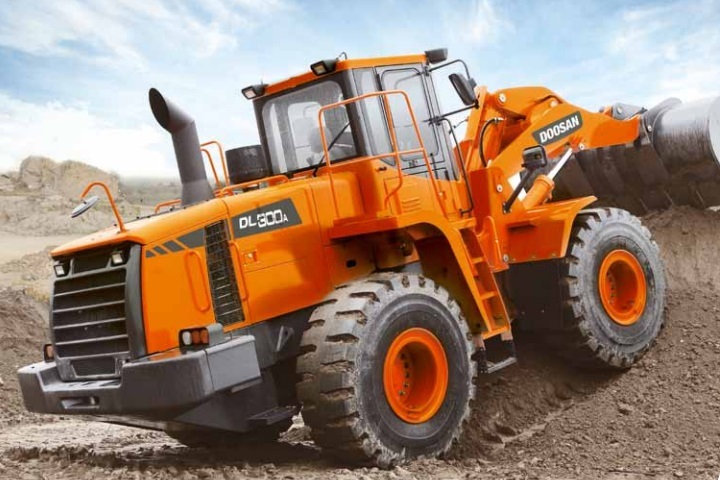 The ergonomic layout of the cab boosts efficiency. The adjustable seats can be customised to suit the requirements of individual drivers. Overall the cab of this truck crane from Sany Construction Equipment provides a pleasant working environment which is conducive to productivity. It is easy to view important data on the display system. 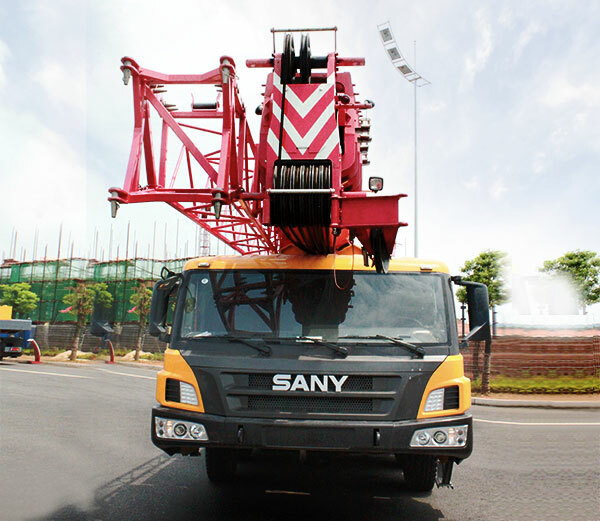 The hoisting system of these Sany cranes for sale are equipped with double variable speed control which regulates the pump and motor to ensure maximum fuel efficiency. The winch balance valve works together with the anti-slip technology to offer smooth handling of heavy loads. Additional stability is offered by the winch balance valve. The Sany STC500 features one 610 kg main hook and one 90 kg auxiliary hook. The hydraulic system is made up of durable parts. Precise parameter matching contributes to the excellent performance of this truck crane. The load sensitive variable displacement pump boosts the efficiency and accuracy of operations. Winch speeds reach 130m/min and the electronically controlled variable motor optimises productivity. The slewing system is designed to offer maximum stability and micro-mobility. The capacity of the hydraulic oil tank is 840 l.
The performance of the Sany SCTC cranes is a priority of every aspect of their design. Sany combines extensive experience in the industry with innovative new technology to produce cranes which can get the job done quickly even in adverse operating conditions. The STC500 has a minimum turning radius of 12 m and a ground clearance of 295mm. It has an approach angle of 18° and a departure angle of 12°. The fuel consumption of the Sany STC500 is 45l per 100km and it meets the Euro III emission standards. 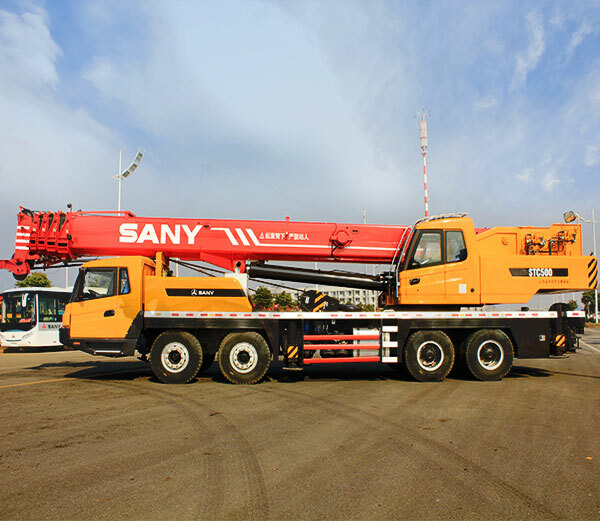 Sany cranes for sale offer an excellent variety of cranes. The Sany STC500 is designed to take productivity to the next level and, not only are these cranes highly efficient, they are designed to offer optimal operator safety and comfort too. 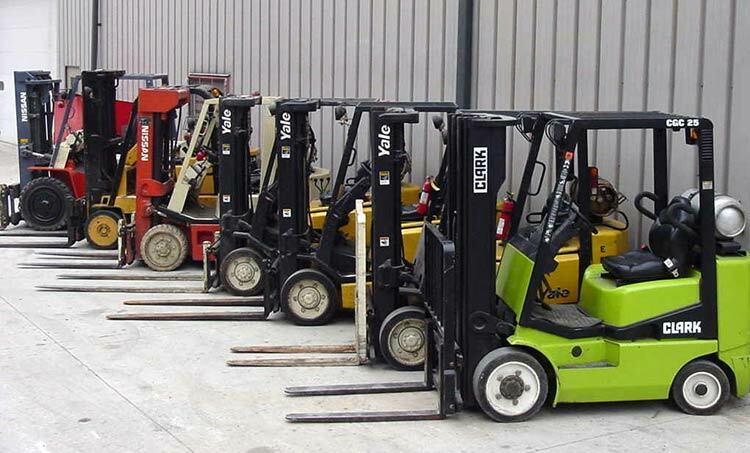 Looking for used cranes for sale that will get the job done right? Browse through the cranes advertised on Truck & Trailer and find the ideal solution to your business.